The American Association of Teaching Health Centers (AATHC) was founded in 2013 as the coordinating center for the Teaching Health Center (THC) movement. 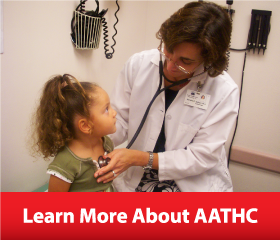 The AATHC supports and advances teaching health centers through networking, communications and educating medical professionals and the public. AATHC also engages in advocacy efforts to extend current THC funding and to establish a dedicated source for community-based primary care GME funding. Teaching Health Center programs across the country are in jeopardy. Closure or reduction of these programs will dramatically decrease the number of primary care medical providers available to treat patients, impacting low-income, marginalized communities in particular. The American Association of Teaching Health Centers is working to ensure Congress passes legislation that maintains the economic viability of these vital programs. 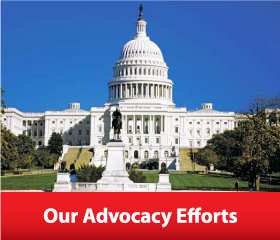 Learn more about our advocacy efforts and how you can help. Looking for more information about Teaching Health Centers? 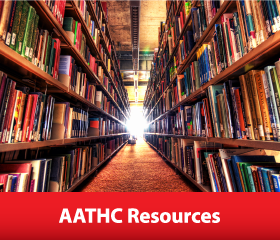 The AATHC Resources section can help you learn more about how THC programs help reduce the doctor shortage our nation faces while improving the overall health care system by providing a pipeline of doctors to areas that lack access to health care. From social media graphics to facts about Teaching Health Centers, our Resources section has you covered.